We Were Legends by MF Burbaugh is a Sci-Fi book that I enjoyed reading (even though I am not a huge Sci-Fi fan). The actual story line and the humor throughout the book is what kept me reading the story, unlike some Sci-Fi stories this is definitely not a dry boring read! The story revolves around Jake, an astronaut who is swept into space and crash lands on another planet which is in its last stages of life because the planets sun is about to extinguish. 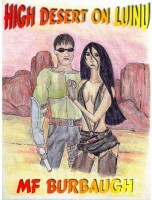 Jake rescues one of the humanoid inhabitants of this strange new planet and together they struggle to survive. It is fun read that will engage all of your emotions from happiness to sadness I truly enjoyed reading this book. I am a huge fan of Science Fiction; TV, movies and books so I picked up "We Were Legends" by M.F. Burbaugh and I am very glad that I did. It is the story of Jake a "Jumper Pilot" for NASA. He crash lands on a strange planet and must figure out how to survive in this cold place and how to get back home at some point. Jake meets a beautiful local when he saves her from drowning. As they learn how to communicate with each other they also learn about each other's planets and they must figure out a way to survive since her planet is on the brink of destruction. I loved how the author explains some of Earth's ancient views regarding the gods, myth and magic. This truly is a great book to read even if you are not a complete Sci-Fi junkie like me! The concept of "We Were Legends" is interesting; I really enjoyed the humor throughout the book. I must admit that I would not have read this book if the humor had not grabbed my attention from the very first page as Jake is discussing NASA's requirements for those that would like to volunteer to become "Jumper pilots". The author has done a wonderful job writing this book; not once did I feel bored or confused while reading it. 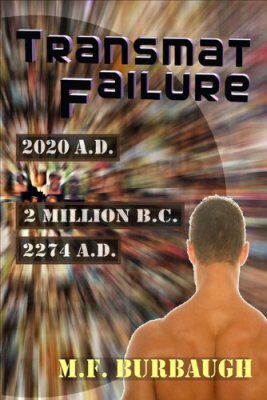 It definitely is not your typical Science Fiction book! As Jake and Aawasa, a beautiful inhabitant of the strange planet that Jake crashed on, struggle to survive the reader is taken on a wonderful journey. This is definitely a must read! This is a refreshing take on the great genre of Science Fiction. MF Burbaugh has done a great job of writing We Were Legends. I found the story itself to be interesting and full of witty humor. As Jake begins to learn how to survive on an "alien" planet that he has crashed on, he saves and befriends a "local" named Aawasa. As they struggle to survive in her home planet which is very cold they must also learn how to communicate with each other since Aawasa does not speak English and Jake does not speak her language. I know it sounds like your typical Sci-Fi read but trust me it's not, I don't want to give away to many details so you will have to read it yourself to find out what happens to Jake and Aawasa! These can be purchased through Amazon, Barnes & Noble, Kobo and other sites. ​Those published by IFWG Publishing can be purchased from their web site as well. Jake is a NASA pioneer pilot in a newly developed one-man explorer ship who takes to the stars to escape torment. Odds of survival are less than four in ten, and it is believed NASA pads the statistics. He is forced to crash on an unknown planet that is dying, as its star gets colder in defiance of the laws of physics. Jake begins his survival quest with a few technological items from his ship and a still-functioning computer. It gets more complex when he rescues a beautiful girl and struggles to overcome the life and death challenges of the planet's inhabitants, mega-fauna, and extreme climate. He discovers a few of Earth's ancient stories of gods and demi-gods that are embroiled in hate, vanity, and what some call magic, are more than myths. With success or failure, Jake proves that legends are made, not born. 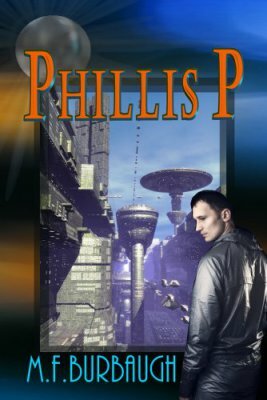 ​Jake Spoonbill, once a NASA pilot, later King and savior of a planet called Camelot, has once again been called back to life through a rather bizarre set of circumstances. Joining him is his army of sword-wielding wives, including his first love, Aawasa, and the woman called the Bronze Goddess. He must once more battle against evil forces in the universe. This time he must first take over control of the corrupt government of the famed EMM (Earth, Moon, and Mars coalition) to provide the support needed for a war against the headhunting Blood Sabers who have but one mission, exterminate all humans when and where found to cleanse the universe of the plague called man, for their goddess. With his army Jake comes head to head with the murderous Sabers on their home world. Our hero finds he was hanged but is saved by a grave digger and her brother. He has to work hard to take over this planet that has strayed from the path of decency and struggles to find his soul-mate, Aawasa, hidden in another's body in shame for what she had them do in their previous life while battling the Blood Sabers. He builds another empire and a beautiful castle. His original Camelot now has far to many relatives for his army of warriors who happen to be his wives, so Camelot 2 is born. After being kidnapped by pirates, a young earth girl, Myra, finds herself on a strange planet full of magic, hate, and ancient prophesies. Befriended by a Dwarf Princess, she struggles to understand her environment or die. War looms on the horizon as Elves, Dwarfs, Dragons, and others face the reality of an ancient judgment to come. This is the story of pirates, death, war, magic, and ancient prophesies. Myra may hold the key to their planet's destiny in her tiny hands as she struggles to fulfill the ancient writings and stay alive. Rocer Penal Colony needs to come back under the control of the Confederation of Planets, so the Confed has sent in ten young men and women to establish authority, using any necessary force. Seven thousand hardened criminals are on the loose on the almost-uninhabitable world known as Rocer. What do you call human beings that are the toughest of the tough? Meanest of the mean? Deadliest of the deadly? A group so elite that less than four percent of all applicants can complete the course? Why do you send ten humans to do a job that normally requires an army to handle? Combining normal biological enhancements and the best training of the old Marines, Seals, Mossad and Spetsnaz, this group of young humans are the best of the best and have a rep to live up to. Well, more like to die for. Few live to retire. If you dare, meet the Space Rangers. Their Motto? Bend Hell, Sir! Ever wonder where you came from? Where it all started? This is the account of four people who start out looking for their ancient past, one of several groups funded by a wealthy politician. They must climb a frozen mountain and hunt for a place called Castle Gods-Cut. 'Cut' was thought to have once meant ‘origin’.What they find is a single door blocked by ice that leads to a huge complex of caves and doors, some deadly, some leading to places that can't possibly exist anywhere on their planet. With the help of a rescued A.I. that thinks she should look like one of an ancient race called humans, events develop that may determine if humanoids of any kind shall be allowed to exist in the galaxy, as they encounter a race of aliens that love people. For snack food that is. Still being written at this time. Jonathan Whitherst is a medically retired Intergalatic Police Force officer who, with his wife Shelly explore and claim an empty planet they name Luinu. Four years later someone found out they had quanities of thulium which is used as a radiation source in portable X-ray devices and in solid-state lasers and tachyon drive cores. Those someones decided to take over Luinu by killing them, but they ran into a problem, he didn't want them too. Johnathan senses something wrong in his battle against the pirates, his memory is destorted, flawed. His wife went for help...his wife died at their home...he sees visions, humans but not earth humans. A beautiful girl named Luinu. In the beginning God said let there be light, and my head exploded. Thus our hero, Frank Young is trying to earn a few bucks as a lab rat to help pay his way through college, He finds he no longer is sitting in a lab in Houston. He has materialized naked in a world of slavery and barbarity. An alternate time line where his first acts are to save some women from slave traders and develop indoor plumbing. As he tries to adapt to his new world he suddenly is back in Houston. Twice more he ventures to another place, each different yet similar. One in the distant past, one in the future. Join him as he battles slavery, hate, and evil while finding strange happenings link him to the same three women, over and over. NASA is trying to develop matter transfer, dumping billions of dollars into various universities to find something like the transporters on Star Trek because intelligence rumors say the Chinese have already done it and they could materialize vast armies on U.S. Soil in a blink of an eye. Frank is a nobody battling to get through college and earn a few bucks in the process so he becomes a volunteer, knowing others died already." On the surface it tells of David and his companions' exploits, but more than anything else, it depicts the grittiness and courage needed to hunt drakes. These warriors live their lives to the fullest, one day at a time. You're a widower, retired 'Nam vet, and eking out a living as an online mechanical consultant for troubled select vintage cars and special sports jobs. In walks a beautiful rain-soaked girl, the richest girl in the world, and asks you to marry her in exchange for all her wealth, immediately, and without giving a reason. Take it or leave it. What do you do?